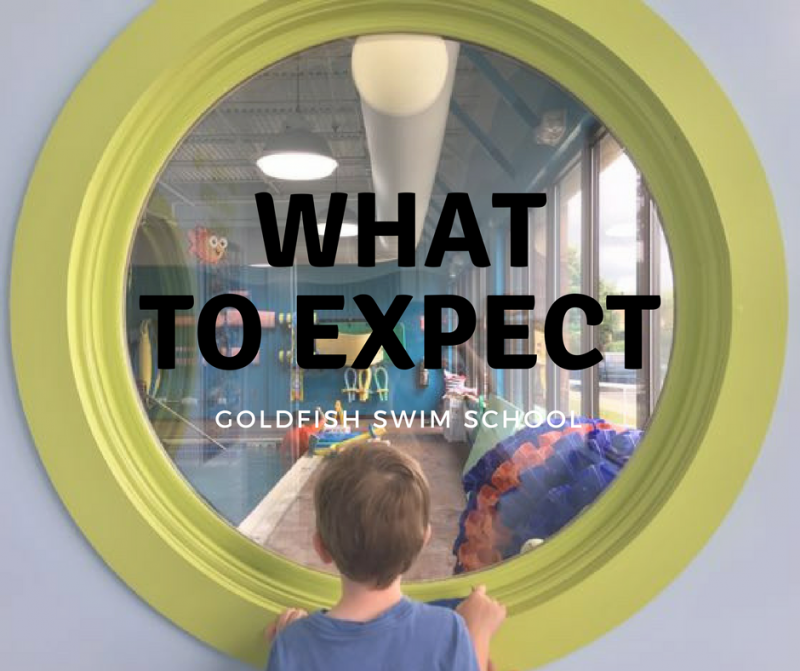 Goldfish Swim School Archives | What Should We Do Today? 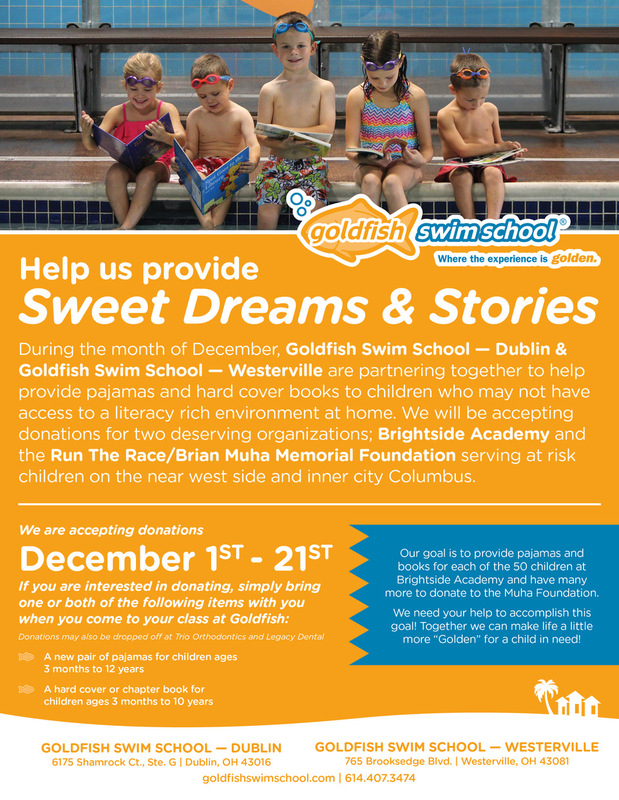 Now through December 21, Goldfish Swim School in Dublin and Westerville will be collecting pajamas and hard cover books for children working with two local organizations: Brightside Academy and Run The Race/Brian Muha Memorial Foundation. These organizations are serving at risk children on the near west side and inner city of Columbus. – A new pair of kid’s pajamas size 3mos to 12 yrs. – A hard cover or chapter book for kids ages 3 months to 10 years. There are 50 children at Brightside Academy and the goal is to provide pajamas and books for each of them, plus some left over to donate to the Muha Foundation! Any help you can give is very appreciated! 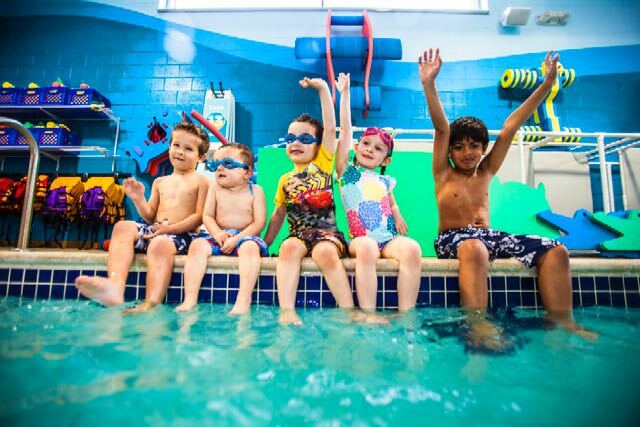 Goldfish Swim School offers perpetual, year-round swim lessons for kids ages 4 months to 12 years old. 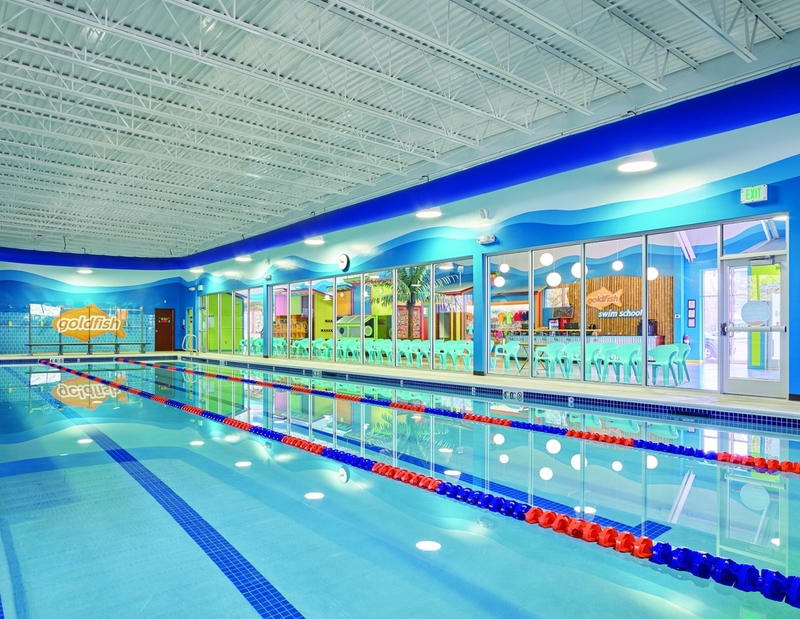 Our pools are warm and inviting (90 degrees) and our class sizes are small (4:1) so kids receive the personalized attention from our Ellis-trained swim instructors. Our curriculum focuses on water safety so we teach kids at all levels how to be safe in and around water. 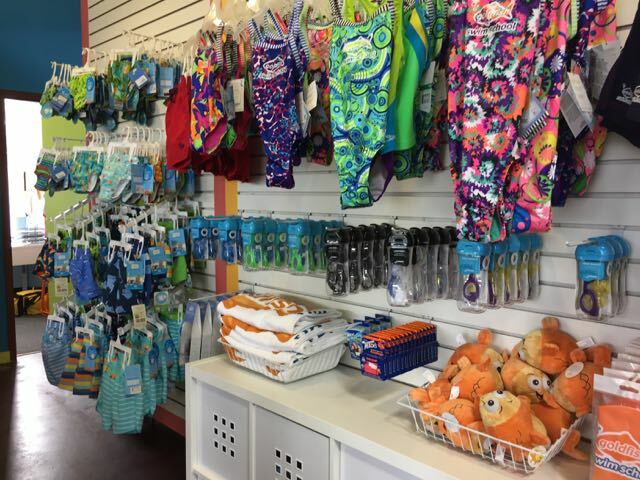 Goldfish Swim School has two Central Ohio locations, in Dublin and Westerville, and for more information, visit http://westerville.goldfishswimschool.comand http://dublin.goldfishswimschool.com. 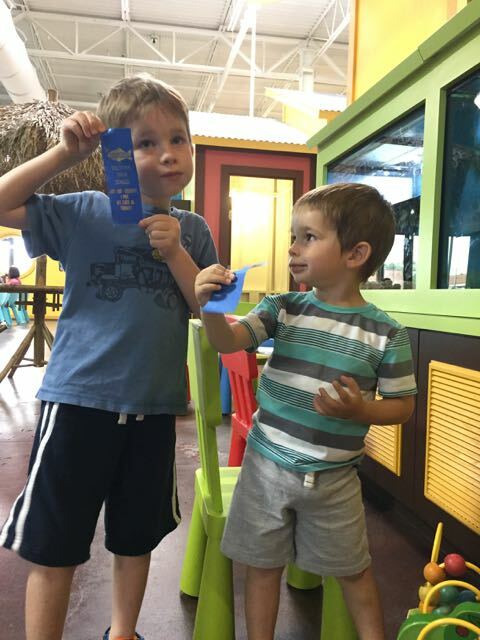 Special Announcement: A New Goldfish Swim School! Big News! 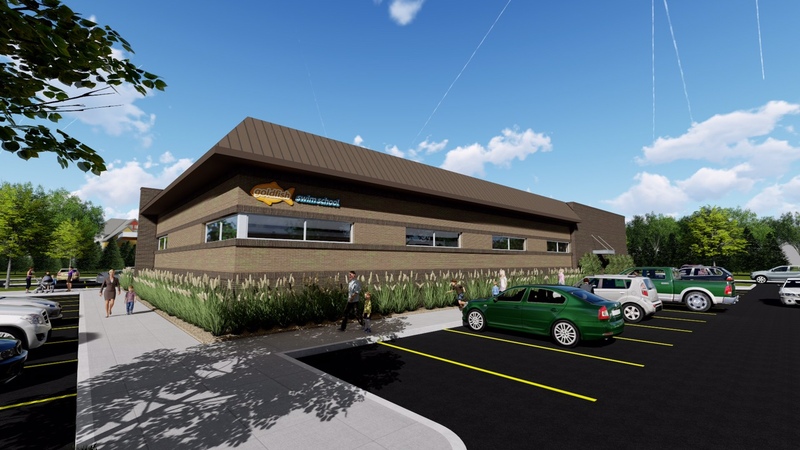 Goldfish Swim School is opening a third Columbus location in Lewis Center in 2018!! 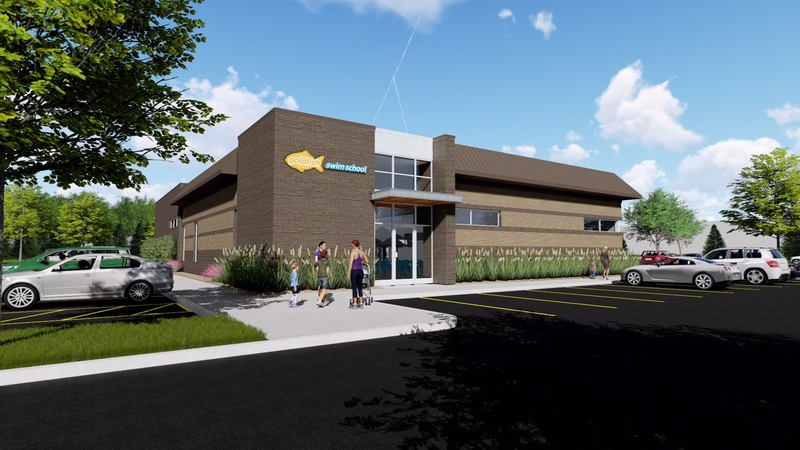 Members have asked Goldfish Swim School to open a location in Lewis Center since they first opened in Columbus and it’s happening in 2018! 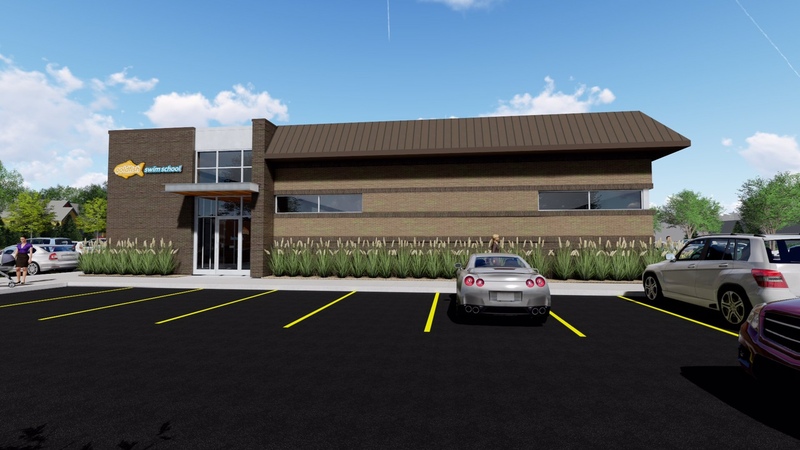 The Lewis Center location will be located near the intersection of US 23 and Orange Road (About a ½ mile east of US 23 on the south side of Orange Road just before the railroad tracks. Not too far from the Chiller North). 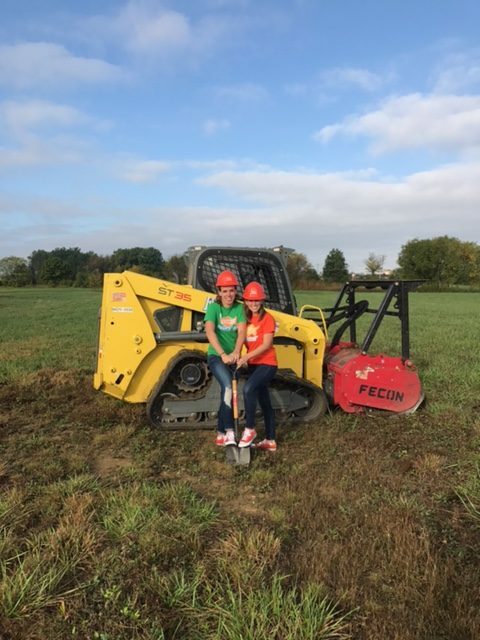 The new location (the third in Columbus, including Dublin and Westerville) will be opening in 2018, and construction updates will be provided on the Lewis Center Facebook page, website and via the Monthly Bubble e-newsletter – so make sure to go online and pre-register. There is no need to wait for the Lewis Center location to open, sign up today at either our Dublin or Westerville locations. When registration begins for Lewis Center, you will receive priority scheduling to be among the first to select your preferred day and time. In addition, your annual registration and makeups will transfer over seamlessly – as long as you are currently enrolled at either the Dublin or Westerville locations. Groundbreaking at Goldfish Swim School Lewis Center! Please visit goldfishswimschool.com and select Lewis Center to pre-register and receive all of the latest and most up to date construction and registration information! 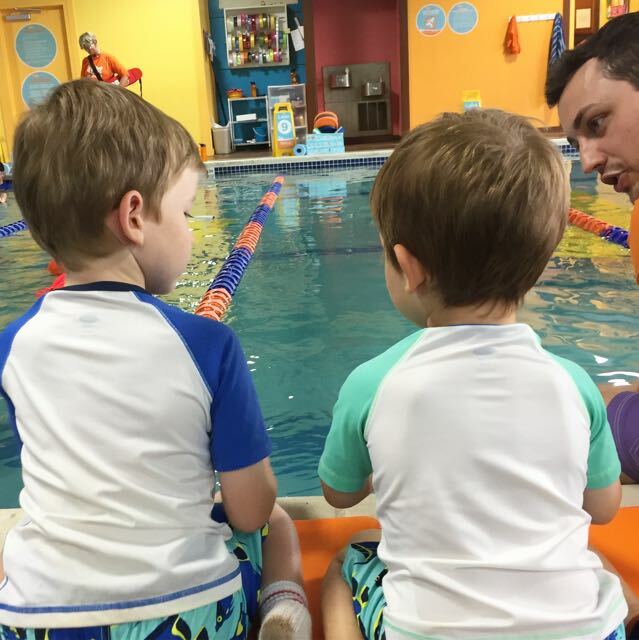 Goldfish Swim School provides swim lessons and water safety instruction to infants and children ages four months to 12 years. Classes are offered by specially trained instructors in a safe, child-friendly and fun environment. 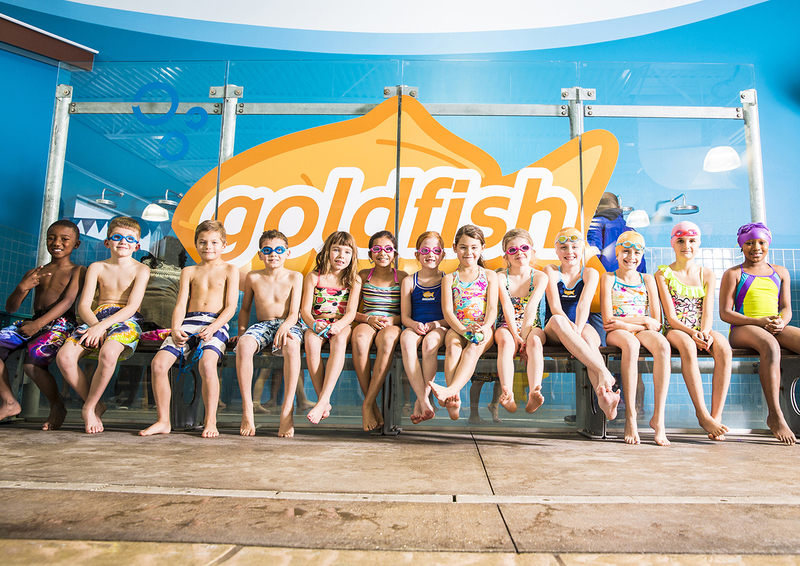 Goldfish currently teaches more than 70,000 students per week to swim and be safer in and around the water. 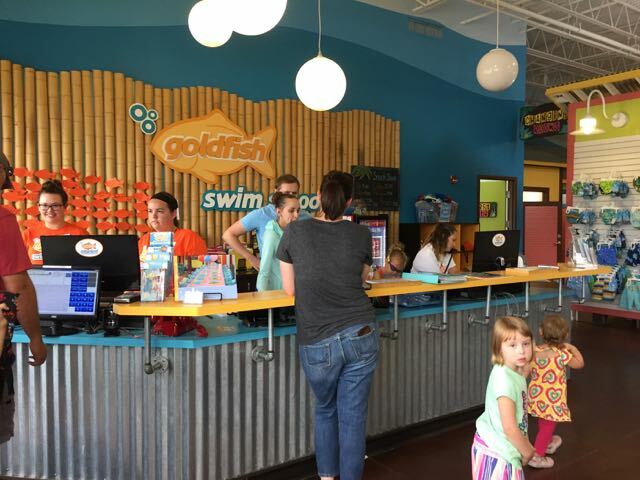 Headquartered in Troy, Michigan, Goldfish Swim School was established in Birmingham, Michigan, in 2006 and opened its first franchise location in 2009. They are currently in the process of expanding franchise opportunities throughout North America, with over 80 schools open or in development in more than 23 states and Canada.  http://whatshouldwedotodaycolumbus.com/wp-content/uploads/2017/10/GFSS-Lewis-Center-Rendering-3.jpg 720 1280 Julie Miller http://whatshouldwedotodaycolumbus.com/wp-content/uploads/2018/01/What-Should-we-do-today-columbus-NEW-blue_03.png Julie Miller2017-10-16 08:59:582017-10-16 08:59:58Special Announcement: A New Goldfish Swim School! This post was sponsored by Goldfish Swim School. We started swimming lessons at Goldfish Swim School in Dublin this summer! So far I have nothing but good things to say about the experience! But if you’re like us on the first day, you might not know what to expect and your kids might be a little bit nervous. Here are 10 things you can expect to make your first lesson go as smoothly as possible! 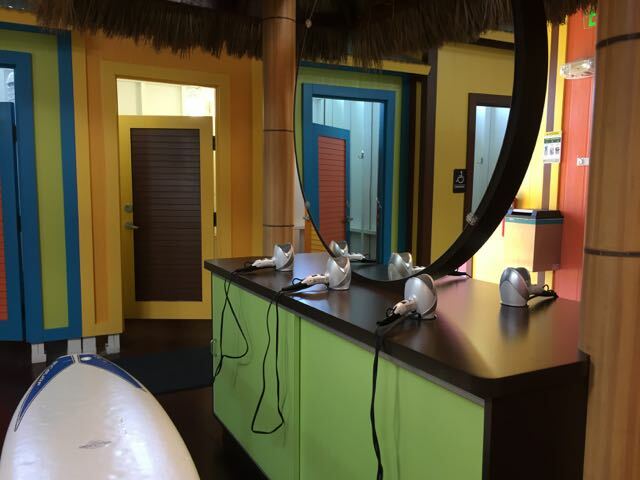 When you arrive and sign in at the front desk, you will be given a key tag for your key ring. At subsequent lessons, just check in by scanning your key tag! Kids are encouraged to wear goggles for the lessons (I say encouraged because my kids are a little skittish about this, and the teachers don’t push it when they are.) Kids who aren’t potty trained must wear a reusable swim diaper. I neglected to read this fine print until the morning of our first lesson, but luckily both of these items are available for purchase and you will receive a discount on your first purchase! Lots of space is available in the changing rooms – all three of us fit in to one in order to get suits on and everyone ready to go! 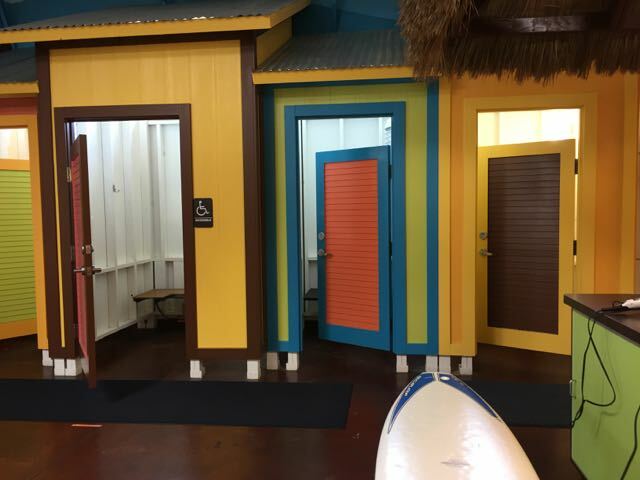 There always seems to be enough changing rooms – we’ve never had to wait! 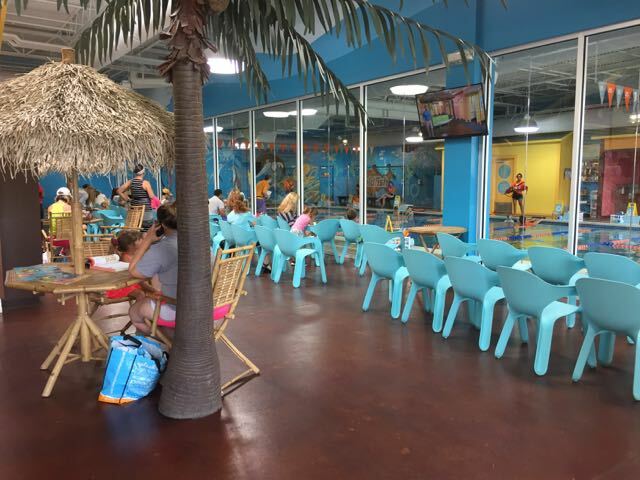 To view the lessons there is a large seating area with a glass wall separating you from the pool. It’s easy to find a seat to watch your child closely. One of the teachers suggested that I try different things with my youngest who is having a harder time being separated from me, so being poolside is an option, too, if that helps your child adjust. Got a little one in tow? 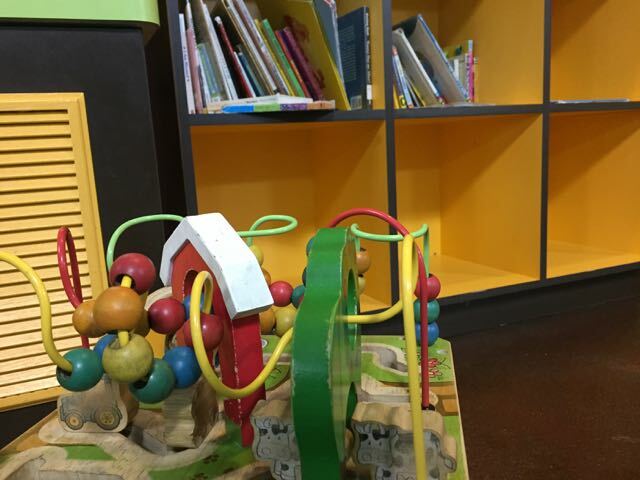 Books, coloring sheets and some toys are available in the viewing area! 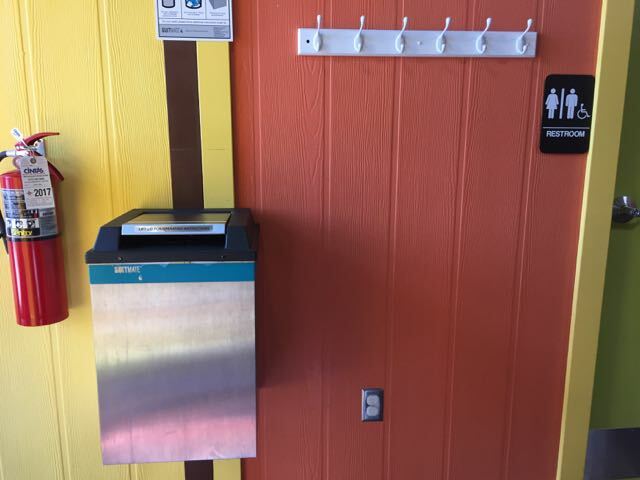 After your kid’s lesson, you can put your suit in a dryer for a quick spin to get out the extra water! Snacks, drinks and coffee are available for purchase. 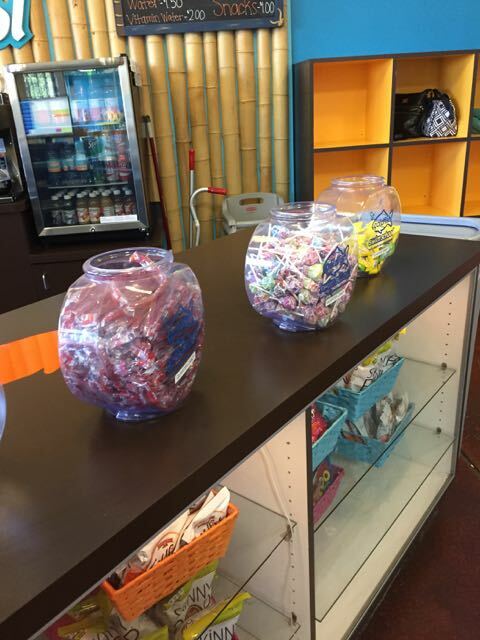 $.25 candy is available as well – just drop a quarter in the money box and take a candy!